Mark Mothersbaugh, aside from his roles as lead man in Devo and go-to composer for Wes Anderson, is a very dynamic visual artist. 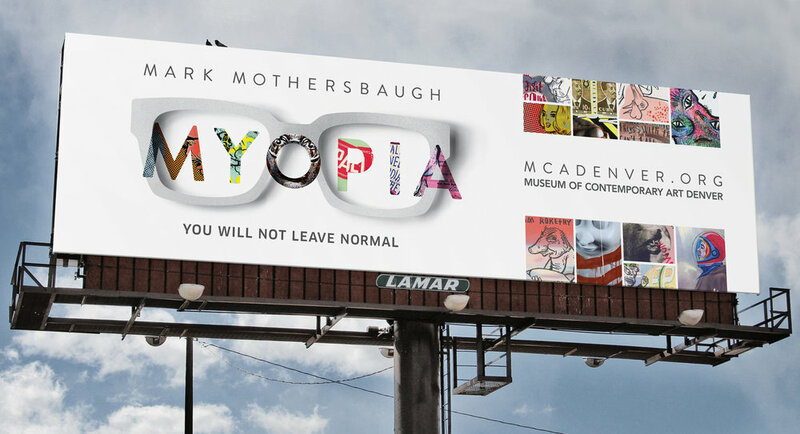 MCA Denver partnered with Mothersbaugh to create an entire museum takeover, which evolved into a 30-year multi-media retrospective featuring a large breadth of his works. Quirky, fun, inspiring and completely immersive, the show featured early Devo-era sounds, video and paintings, a room filled will over 30,000 drawn and painted postcards, and original instrument inventions called “Orchestrions.” A true delight to behold, the show generated a litany of national and local press and was extended due to popular demand. This identity would be the cornerstone of all communications and therefore needed to do a bit of heavy-lifting. Its job was to engage both museum regulars and those outside the museum’s usual suspects, allude to the diversity of the work, and create meaning for the exhibit title; Mypoia. 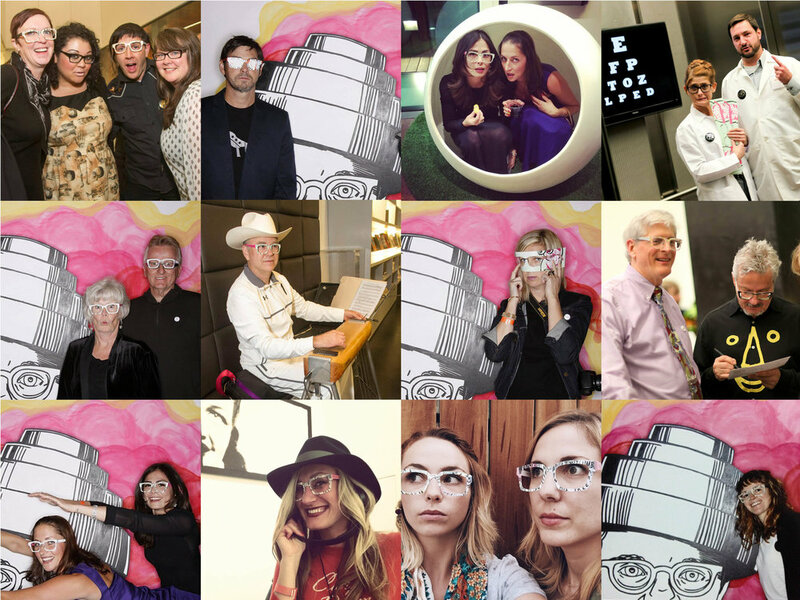 We chose to focus on Mothersbaugh's iconic glasses (which he, of course, designed himself). 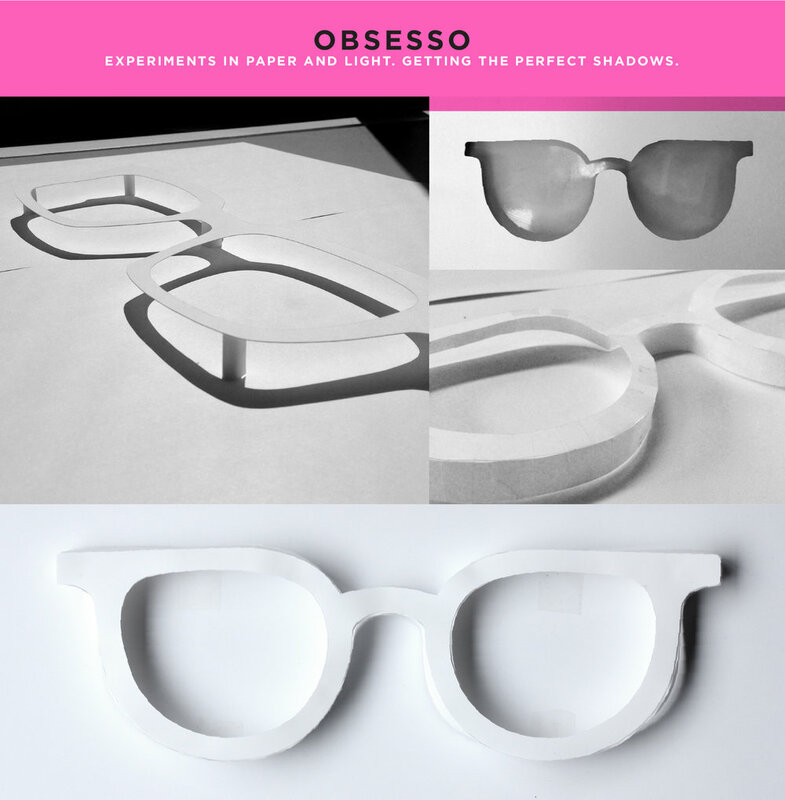 We crafted three-dimensional paper mockups of a few glasses and experimented with how to best show snapshots of an incredibly expansive body of work. The result was a clean yet dynamic representation of a man with a multitude of ideas. To stay on-budget, our strategy was to create an intriguing and impactful visual and messaging duo that, though limited in its presence, would still leave a deep impression on the audience. This message spanned traditional platforms like outdoor, posters and signage, as well as digital. 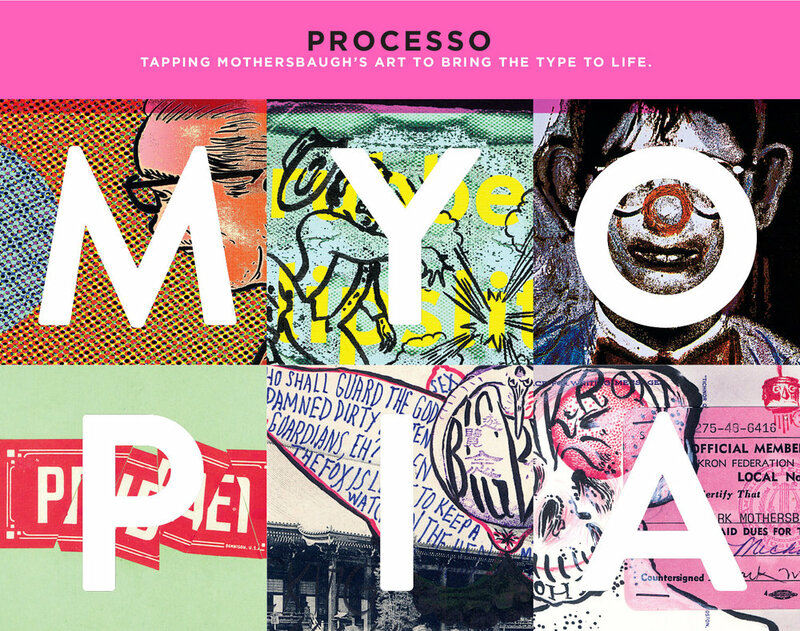 Social media was used to tease the exhibit by showcasing many of Mothersbaugh’s works and build a sense of urgency to attend. In addition to the traditional campaign, we worked with Mothersbaugh to create a series of six die-cut glasses that promoted the exhibit. He illustrated, we designed. It was magic. At the opening night party, attendees had access to stacks of glasses. They were a huge hit and many in the crowd were rockin' them. According to Mothersbaugh, it was his favorite part of the campaign. And he was caught wearing them in his Denver Post photo shoot.